Who the **** would spend 6 figures on a GM product? Even the front engine Z06 has been an issue, and that's sub $100k. Which they're "fixing" the "non-problem". People pay money for GM products? With the muscle car battle in full swing, we really need to bring back trans am racing. But with some new rules. Cap the engine displacement at 5.0 liters. They must be Normally aspirated and then let the engine boffins at Ford and GM loose. Maybe Alfa would get in the game (I know pipe dream), but maybe lexus would. WE could also have a 2.0 liter category as well that raced at the same time. Cars must have production body panels, and hard points for suspension must be in the same locations as stock. Drop the minimum weight of the 5.0 liter cars to 3000 lbs and the minimum weight of the 2.0 liter cars to 1600 lbs. There would be a spec tire everybody would have to run. The season would be a series of north and south American tracks so Canada and Mexico can get some time as well. Maybe have an endurance race in the middle and end of the season for extra points. We have a scintilla of evidence that the mid-engine 2018 C8 Corvette may actually be a thing. The engineers at Katech might have just outed the powertrain and other details including its name. Quick refresher: Katech used to work on the engines for Corvette Racing before General Motors Company [NYSE:GM] brought that venture in-house. So, you might say Katech has a history with the Corvette and knows a thing or two about what's going on with it. GM Inside News noticed that Katech's website suddenly has a landing page for the 2018+ Corvette ZR1/Zora LT5, where the above image comes from (the page has since been removed). Naturally, the question is: What does Katech know that we don't? This may give the mid-engine Corvette thing even more legs. Let's run down all the things that have happened as of late that point to this being the real deal, shall we? • We've spied what appeared to be the C8, and it definitely has mid-engine proportions. • General Motors is dumping $290 million into the Corvette plant for upgrades. You can bet those upgrades aren't for the current C7 Stingray. • GM trademarked the ZR1 moniker, again. 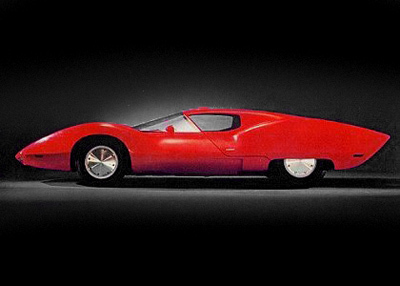 • GM trademarked the Zora moniker. Plus, we've heard GM engineers say they've reached the point where more power won't make a better Corvette; it's already fist-fighting physics to put its power down. Have you driven a Z06 lately? We may have reached the limit of what a front-engine rear-wheel-drive Corvette can do. Word has it that the C8 mid-engine Corvette will make its debut at the 2018 Detroit auto show, which is exactly five years after the C7 Stingray made its debut at the same show. So, will the 2018 C8 Corvette be named the ZR1 or Zora and be powered by an LT5 V-8? There was always a decent chance that could happen and Katech might've just confirmed it. Accidentally, of course. Funny how Europe and Australia have done the original Trans Am better justice than the actual Trans Am Series. And the current Trans Am series has so much potential but they only play to a small crowd. Silhouettes should never be limited to one type of engine. They should let the Turbos play. General Motors Co. intends to start selling a mid-engine Chevrolet Corvette in early 2019, according to multiple sources familiar with the company’s planning. While America’s iconic sports car has gone through seven generations of upgrades since it debuted in 1953, a mid-engine architecture would be the most radical change in Corvette history. 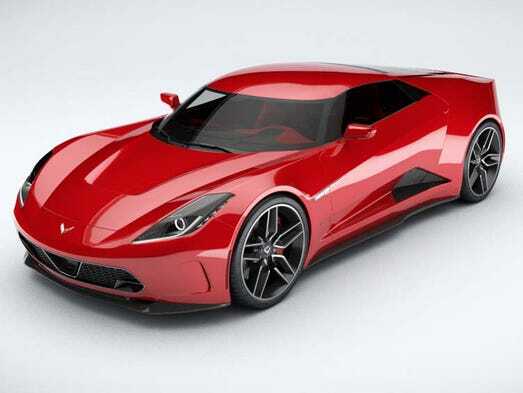 The sources, who asked not to be identified because company plans have not been made public, said production of the mid-engine rocket would eventually be the only Corvette produced. One of those people said the current, front-engine C7’s Z06 and Grand Sport models would continue through 2021. The eighth-generation Corvette C8 – codenamed “Emperor” — is targeted for an unveiling in early 2018, sources said. “We do not comment on future product plans,” a Chevy spokesperson said. Chevy has long been concerned by Corvette’s aging demographic, and a mid-engine performance car could appeal to younger buyers. “The median age of the Corvette buyer got three years older while I was there, which scared the hell out of us,” says Tom Wallace, who was Corvette’s chief engineer from 2006 until 2008. Some sources say a mid-engine Corvette could be the basis for a Cadillac sports car. With the engine located behind the driver and in front of the rear wheels, mid-engine sports cars are prized by performance-car fans for their balanced handling characteristics. The mid-engine format would make it more current with Corvette race-program competitors like the much-pricier Ferrari 488 and Ford GT. The C8 is expected to be equipped with performance innovations like an active-aerodynamic system to enhance downforce, according to Car & Driver’s Don Sherman, who has been following the car’s development since 2014. The magazine says the next-generation Corvette will be powered by the tried-and-true small-block pushrod V-8 to keep costs down. The mid-engine format would allow GM more flexibility to make performance variants — perhaps an all-wheel drive, plug-in hybrid model with electric motors driving the front wheels. That would put it head-to-head — at a more modest price — with cutting-edge, mid-engine hybrid supercars such as the Acura NSX and Porsche 918. 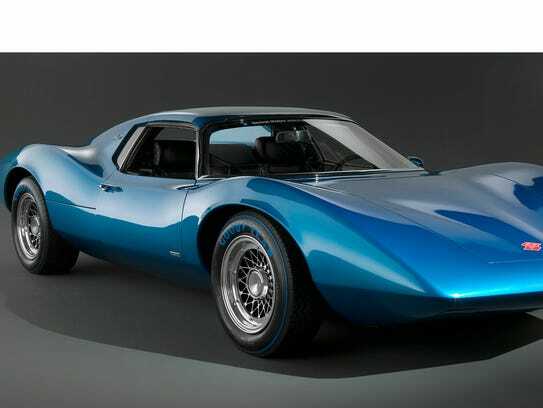 GM and Chevrolet last year trademarked the names Corvette E-Ray and Manta Ray. The names, some analysts believe, indicate the company is considering multiple vehicle variants. The company recently announced investments totaling nearly $800 million in its Bowling Green Assembly Plant in Kentucky, where Corvettes are built. That includes $153 million for improving vehicle assembly line processes, on top of $137 million in previously committed capital. Last year, GM said it would invest $439 million for a new paint shop and $44 million to expand its Performance Build Center. The plant is expected to be shut down for three months in mid- to late-2017 for retooling. Lutz and Wallace say that they and then-Corvette Assistant Chief Engineer Tadge Juechter got the mid-engine Corvette approved in 2007, only to see the project shelved while GM went through bankruptcy reorganization in 2009. Lutz says the $800 million Bowling Green investment figure is in line with what was asked for nine years ago. Corvette faithful have already begun putting down deposits on the car. Les Stanford Chevrolet in Dearborn, one of the top three Corvette sellers in the United States, confirms about two dozen customers have put down $2,000 on the C8 to be first in line. In addition to publishing spy shots of a camouflaged, mid-engine car undergoing testing, Car & Driver created computer renderings of the C8 featuring a muscular stance and low, menacing nose. The renderings are based on descriptions of the production prototype by people who have seen the car’s design. Stephanie Brinley, a senior analyst with forecasting firm IHS Markit, said there have been rumors of a mid-engine Corvette for a decade. “It seems to be maturing from a ‘what-if’ to a project,” she said. Pricing a new Corvette in line with Chevrolet and its value-brand philosophy will be important, Brinley said. It can’t have a $450,000 sticker price like the Ford GT. But Brinley said there is some space for a price increase over today’s $55,445 base C7. The Astro was a reaction to the mid-engine 1966 Ford GT-40 and its stunning success at the 24 Hours of LeMans. Fifty years later, another Ford GT has won LeMans — and this time GM’s response appears to be a full-blown, mid-engine production C8. That reminds me, people complaining about the concept never looking like production version, there ya go. Let's hope it doesn't look like that super weak render. It has some stiff competition from the Ford GT in the styling department. The old blue Astro prototype looks sweet - part Dino, Miura, Pantera, GT40. What happened to those swoopy, flowing lines? Lots of cars look like insects now. Wind tunnels and CAD happened. More like crappy MBA's, consulting firms, and mediocre engineers, combined with a decreasing lowest common denominator throughout the demand equation. You left out the self-absorbed unimaginative designers hired for their ability to wear European fit suits. Last edited by AVANTI R5; 08-05-2016 at 02:07 PM. I cribbed this saying a long time ago. Just FYI, I just heard from a GM test driver that the internal nickname is Zora. So that was a good guess. 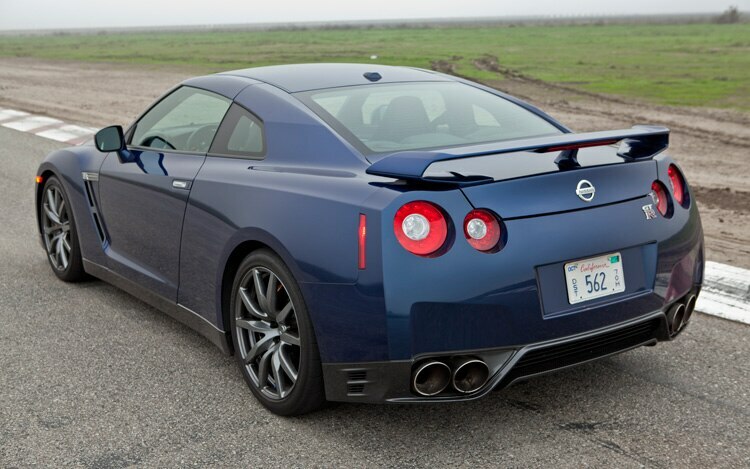 Also - How does 750 HP sound. The Zora name was known for a while. When it comes down to the actual cost of building the car, is it possible for them to make an affordable mid-engine car? I am just trying to figure out why the cost has skyrocketed. It seems like such an unnecessary move to make the corvette so expensive.